It’s not just the sexual abuse of children, mostly boys, by Catholic priests that have rocked the church—earlier this week Pope Francis confirmed that the mistreatment of women has been a problem in some congregations around the world as well. 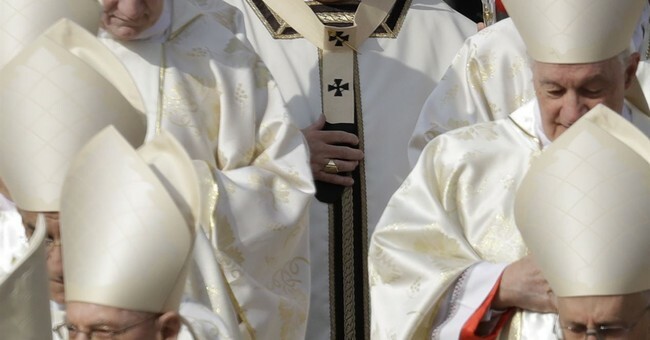 In a shocking revelation, the pope said nuns have and continue to be sexually abused by Catholic bishops and priests, going so far as to say some have been sexual slaves. "It's a path that we've been on. Pope Benedict had the courage to dissolve a female congregation which was at a certain level, because this slavery of women had entered it -- slavery, even to the point of sexual slavery -- on the part of clerics or the founder," the pope said. Francis was referring to the Community of St. Jean in France, where, in 2005 under Benedict, an order of nuns was dissolved for reasons that were never disclosed at the time. "I would like to underscore that he was a man who had the courage to do many things on this topic," Pope Francis said of Benedict.